It's your turn to be the guest — but the etiquette guidelines still apply. Here, answers about rehearsal dinners, engagement parties and other festivities. 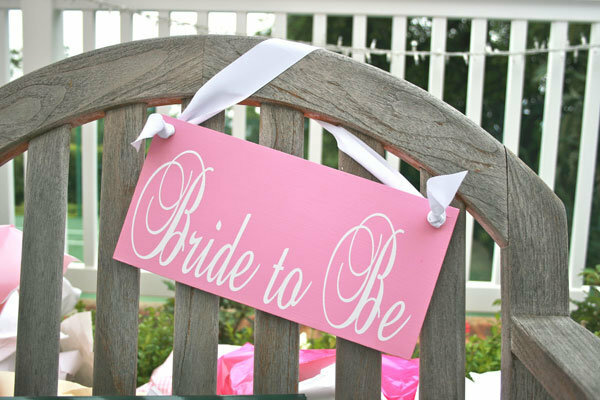 1. Who plans the bridal shower? 2. Who pays for the bridal shower? 3. When should the bridal shower take place? 4. Who should be invited? 5. Can I have an office shower if my coworkers are not invited to the wedding? 6. Do guests who can't attend still send gifts? 7. Is it appropriate to have a kid-free bridal shower? 8. What is the groom's role at the shower? 9. Can I have a shower before a vow renewal? 10. Should guests address their own thank-you notes? 1. Who plans the rehearsal dinner? 2. In the case of divorced parents, who hosts the rehearsal dinner? 3. Who should be invited to the rehearsal dinner? 4. Do out-of-town guests need to be invited? 5. Who is supposed to give a toast? 6. Can we serve the groom's cake at the rehearsal dinner? 1. Who hosts the engagement party? 2. Who pays for the bachelorette party? 3. Can we have a second reception after the honeymoon for faraway guests? We are the grooms parents and have helped the couple with some of the wedding expenses but the brides parents have offered no financial help at all. Only criticism. We are prepared to pay for the rehearsal dinner as well, and have been informed that a large group of the brides family is from out of town and planning to attend this wedding..are we required to invite all of the out of towners to the rehearsal dinner? I would prefer to not spend a lot of money on the rehearsal if the brides parents are not willing to share in the expense....Kind of feels like we would be paying for their family reunion. Great question! These days, it's not expected that all out-of-towners will be invited to the rehearsal dinner, It's perfectly acceptable to limit the party to just immediate family and bridal party members. Perhaps you can suggest that the bride's family hosts a cocktail party at the hotel that same evening for out-of-town guests. Another hospitable gesture is to host a farewell brunch the morning after the wedding. We are having a destination wedding where we are only inviting our immediate family, but we want to have a very casual reception/party at home for all of our other friends and family. Would it be acceptable to have our reception before we leave to our vacation? No MOH, who plans Shower? I have asked my 6 best friends and my fiancé's 2 sisters to be bridesmaids at our wedding. I couldn't choose any 1 person as my MOH so I don't have one. 1 of my girlfriends took the lead on planning the bachelorette party but no one has stepped up to plan/host my bridal shower. I don't want to make any of them feel obligated to be in charge of that so what would be the move here?